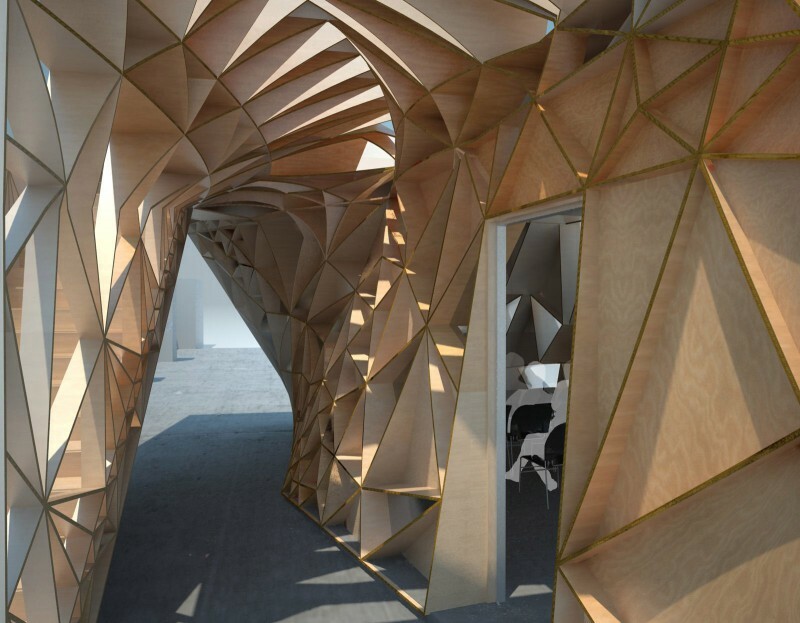 Stack is a non-modular construction system cut and assembled from flat plywood sheets that produces ornate detail and lush pattern directly from its logic of assembly and structure. 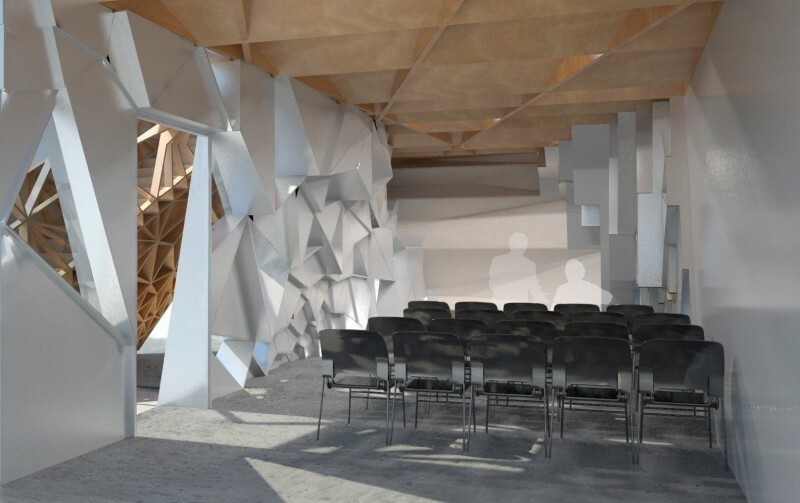 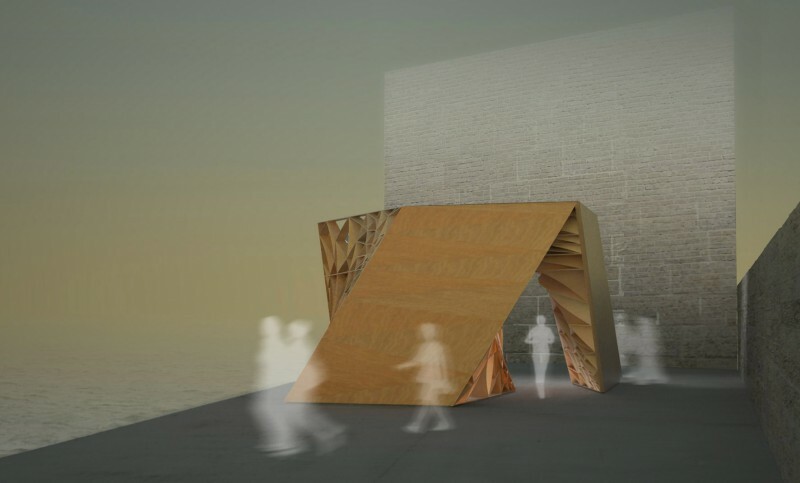 Here, it is manifest as a dynamically torqued pavilion for exhibitions and lectures designed for the Lightbox Gallery in Sussex, UK. 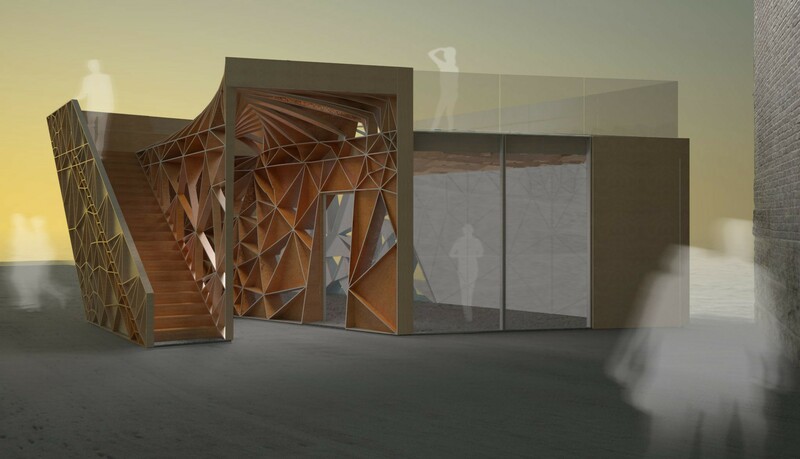 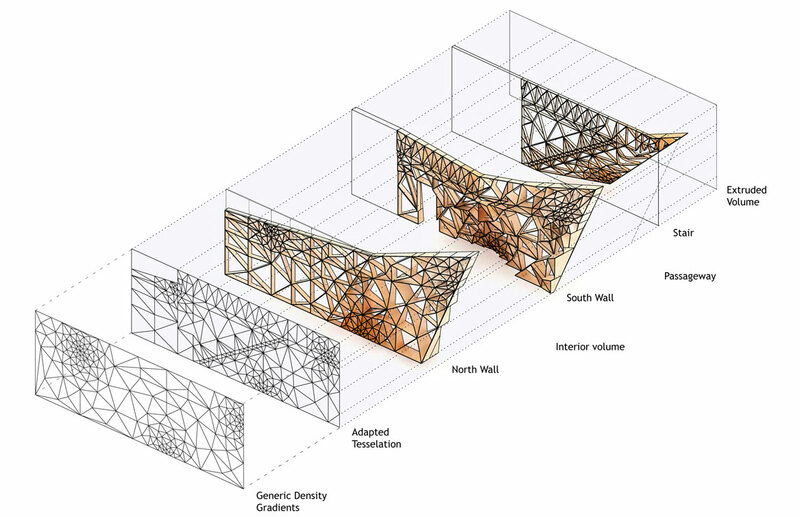 A demountable structure of stack-able triangular units, Stack is a single tessellated pattern extruded along the breadth of the pavilion to produce three longitudinal walls. 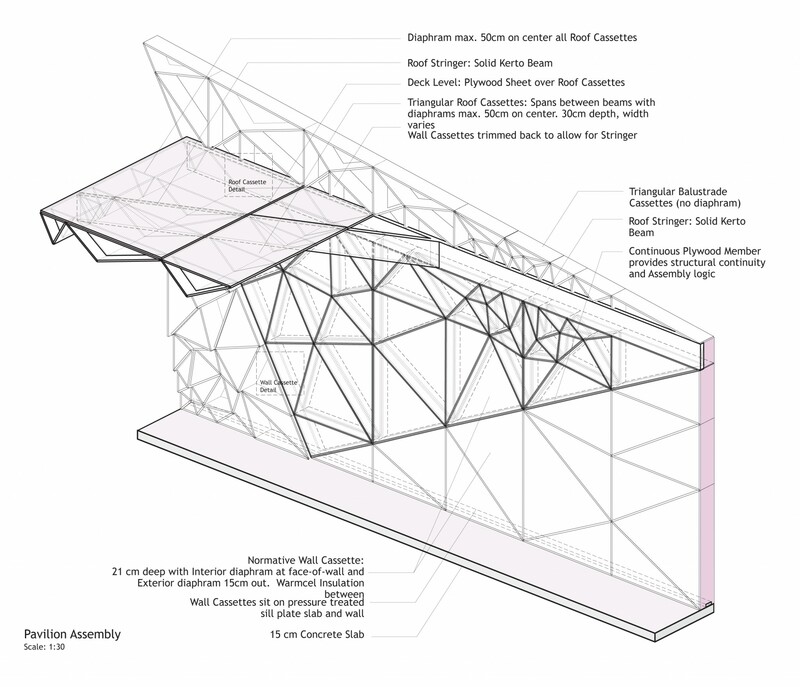 As it adapts to the geometry and specific demands of each wall surface (corners, doors, and stairs) the pavilion congeals into a continuous semi-solid mass, knitting interior and exterior spaces together.